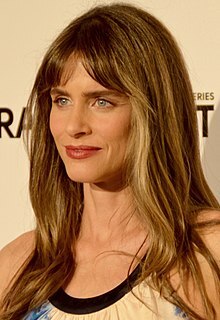 Amanda Peet (born Januar 11, 1972) is an American actress who haes appeared in film, stage an televeesion. ↑ "Barry Pepper, Michael Sheen & Amanda Peet Also Cut From Terrence Malick's 'To The Wonder'". The Playlist. August 29, 2012. Retrieved August 30, 2012. This page wis last eeditit on 15 Februar 2018, at 04:59.